A medical examiner has determined that SOUNDGARDEN singer Chris Cornell killed himself. The Wayne County Medical Examiner's Office said that Cornell died as a result of a "suicide by hanging." The Detroit Free Press and the Detroit News both reported that Cornell was found dead in a hotel room at the MGM Grand Detroit hotel with "a band around his neck." However, these reports have not yet been corroborated by official police sources. A full autopsy report, including toxicology results, has not yet been completed. Cornell performed a concert with SOUNDGARDEN at the Fox Theatre on Wednesday night (May 17) and reportedly appeared to be in good spirits to those in attendance and even talked about "the next place we play" during the show. 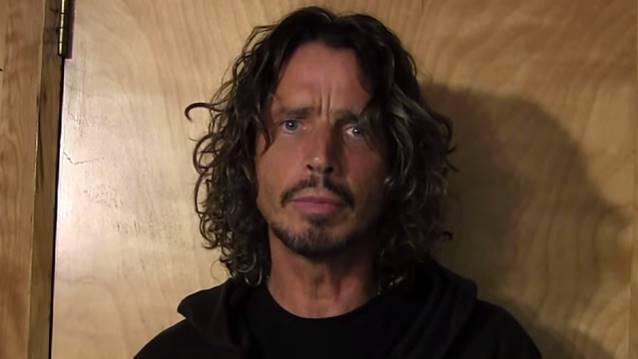 SOUNDGARDEN spokesperson Brian Bumbery called the death "sudden and unexpected" and said Cornell's wife and family were shocked by it. In a statement, he said the family would be working closely with the medical examiner to determine the cause and asked for privacy. Sources who talked with Cornell's wife, Vicky Karayiannis, Thursday morning told TMZ that she spoke with her husband during soundcheck before he took the stage with SOUNDGARDEN in Detroit and after Wednesday night's show. Vicky was reportedly adamant that Chris was "not in any way, shape or form in a suicidal state. She doubled down and said there were no signs he was at all depressed," according to the site. During their 13-year marriage, Cornell and Karayiannis became parents to two children — Toni, 12, and Christopher, 11. Cornell was also father to daughter Lillian Jean, 16, from his first marriage to former SOUNDGARDEN manager Susan Silver. SOUNDGARDEN was set to headline Rock On The Range on Friday, May 19 in Columbus, Ohio. "We are devastated to hear about the sudden passing of Chris Cornell last night," the festival's organizers said in a statement. "He was a true hero to music. The voice of a generation. Our thoughts and prayers are with his family, friends and the entire music community. The voice of an angel, now watching down on us as we celebrate and honor him all weekend long."